Pullman Baku is ideal for business and leisure. The hotel is located only 110 yards from the Botanical Garden and a 10-minute drive from the old city and Caspian coast, and is the only resort hotel in Baku. Pullman Baku features a huge Aqua Park, 4 indoor and outdoor pools, 3,500 m² spa and an entertainment center. Full range of outstanding conference and banqueting facilities are available: 7 meeting rooms, 500 seats auditorium and a spacious 600 m² ballroom. Free car park and high-speed WIFI. Only 5 minutes to historical center of Baku and 8 minutes to seaside Boulevard. Two nearest subway stations within 7 and 9 minutes available. 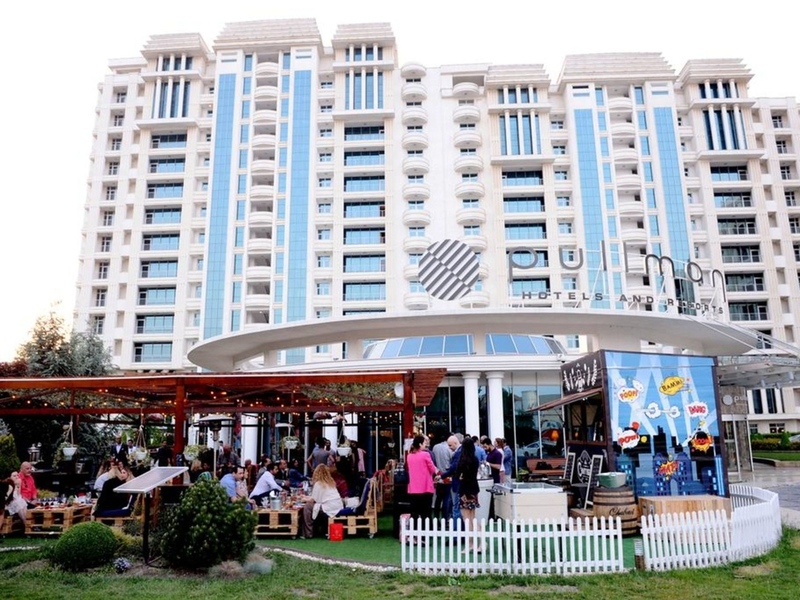 Pullman Baku is a resort within the city with swimming pools, spa and Aqua park. Combines rich international and Azerbaijani cuisine traditions with gourmet style, presenting an experience to guests who would like to taste our unique and delicious local flavors. Smart and casual, located on the ground floor of the hotel. Located in the heart of the hotel, our lobby bar offers remarkable tea experience for all guests who stop by for a coffee appointment or business lunch. Beautiful summer terrace located among green garden. Open 24 hours a day.